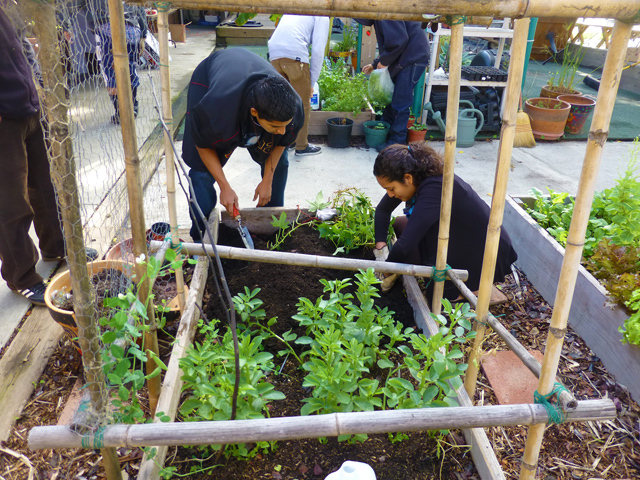 EVENT DATE: Saturday, June 29, 9:00 a.m.–1:00 p.m.
Good Karma Gardens is installing edible gardens at the recreation center of the Mar Vista Gardens housing project. Boys and Girls Club has taken over the building and they will organize summer-camp style programs for local children, ages 6–18. 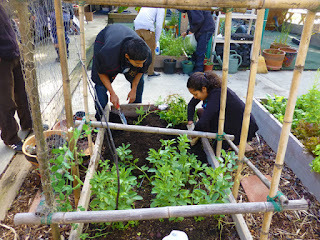 GKG wants to enable them to teach the kids about gardening and to think about their food. GKG invites volunteers to help out on Saturday, June 29, from 9:00 a.m. to 1:00 p.m. The project will consist of getting dirty, using a shovel to dig up lawn, or using your gloved hands to separate the soil from the grass. As of now, Mar Vista Gardens is covered with lawns and very little edible growth. Change is coming! There's enough lawn to keep 20 people busy for 4 hours, so any help you can offer is appreciated.